Simon Stevens, chief executive of NHS England, illustrated the state of public health at last week’s Public Health England conference by showing the audience his assistant’s lunch deal bought on the way to Warwick. A cheese and pickle sandwich is not bad, but why include the sugary drink and packet of crisps? He then pulled out the “Juicy Bits” that were included in the deal. He had high hopes that they were pieces of fruit, but no, they were sugary sweets. Disgusted, he gave the lunch back to his assistant sat in the front row. Public health, Stevens said, has a vital role in sustaining not only the health of the public but also the health of the NHS. Spending more on bariatric surgery than on preventing type 2 diabetes, as England apparently does at the moment, is not sustainable. Stevens had four priorities for public health. Firstly, we need to do prevention like we have never done it before. With so many hospital beds filled with people with preventable conditions, we should adopt the principle that an unplanned admission is a sign of failure until proved otherwise. This applies not just to heart attacks and strokes but also to falls, mental illness, and self harm. If emergency departments are blocked by people with fractures caused by icy pavements or slips, then those responsible for gritting walkways and monitoring home aids should know about it—and be incentivised to do better next time. Secondly, as one of the world’s largest employers, the NHS should be an ambassador for health, which might mean zero tolerance for staff smoking on NHS premises or in uniform. Hospitals should, for example, help staff maintain a healthy weight through providing fresh nutritious food 24 hours a day. Hospitals should have plans not just for patients but for promoting health among their staff and in their communities. Thirdly, the NHS should not confine itself to caring, curing, and rehabilitating the consequences of health risks, such as inactivity, poor diet, loneliness, and lack of meaningful employment. These risks have for too long been considered “normal.” The NHS needs to lead on helping people eat better (no more meal deals with chocolate, fizzy drinks, or sweets), move more (sustainable and integrated active transport systems), and breathe easily (phase out diesel fuelled cars and phase in a rapid transition to carbon free sources of energy). Finally, we should stop looking only to the top of the system for leadership. Rather, leadership is needed in every part of the health system. Changes that transform health systems rarely start at the top—and may not even come from within the system. Well designed local interventions nearly always provide the inspiration, catalyst, and mandate for policies that radically improve health. We do not have much time, emphasised Stevens, for creating a sustainable health system. It’s most likely to be achieved by the NHS, Public Health England, local government, and everybody who works for them working closely together. Public health must be recognised as a leader, not a poor sister of the NHS. 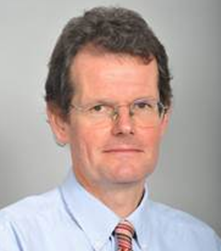 David Pencheon is a UK trained doctor and is currently director of the Sustainable Development Unit (SDU) for NHS England and Public Health England. I would like to thank Richard Smith for his comments on an initial draft of this blog, which contributed to the published version. Competing interests: No competing interests to declare.